My Happy Sad Mummy is an award winning picture book for pre-schoolers and early primary school aged children. It is a story that portrays the emotional response of a young girl living with a mother who has a mood disorder (manic and depressive episodes). My motivation for writing this story came about after I was admitted to a psychiatric hospital in 2007. At the time, my children were three and six. I was keen to alleviate their fears about what was happening to our family as a result of my illness. In so doing, I searched for a picture book that would assist me in my explanations to them. To my dismay, I found the market sadly lacking in resources of this kind. Ten years down the track, there is still a very large gap in the world-wide market for children’s books about mental illness, in particular, books suitable for pre-schoolers. This is in spite of the fact, that one in five Australian children have a parent with a mental illness. Many parents of these children will struggle to find the right words when talking to them about their illness. Some may even shy away from the topic altogether. 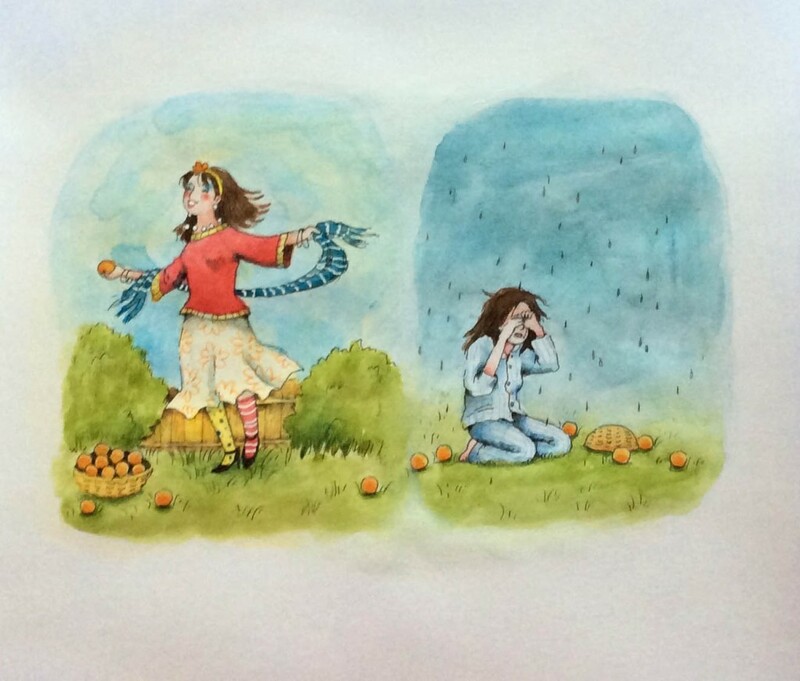 It is my hope that My Happy Sad Mummy will be the first in a succession of quality picture books that deal with mental illness in a sensitive and age appropriate manner. Picture books which will help demystify mental illness and make the discussion of such with young children, a less daunting task for all those involved. 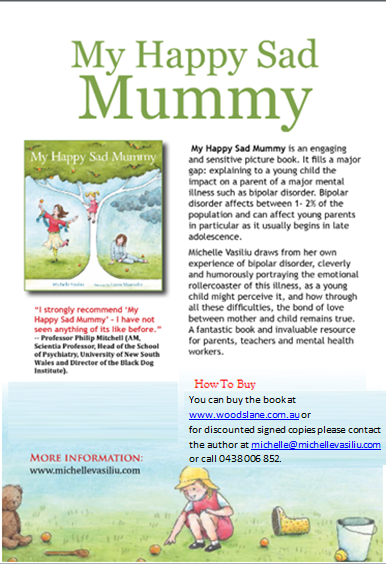 In November 2016, My Happy Sad Mummy won the Australian Association of Family Therapy Twenty-ninth Annual Awards for children’s picture books published in 2015. My Happy Sad Mummy is on the 2017 NSW Premier’s Reading Challenge list. Here is my daughter Isabel reading My Happy Sad Mummy. For discounted, signed copies please contact me at michelle@michellevasiliu.com or phone 0438 006 852.